Attorney Joblin C. Younger represents individuals, families and small business owners in their estate planning and administration, probate court, corporate, real estate, and taxation needs from initial discussions to resolving disputes and dutifully carrying out final wishes. Attorney Younger has in-depth experience in trusts and estates planning and administration from simple wills and trusts to sophisticated trusts, tax planning and corporate representation. His experience includes representing and advising fiduciaries and beneficiaries, as well as business owners and employees in connection with the legal issues that arise throughout their lives. Regardless of the complexity of the case, Attorney Younger focuses on his client’s best interests and is committed to delivering satisfactory and efficient legal services. 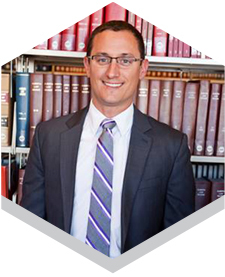 Attorney Younger offers an initial consultation free of charge so please contact him today. Please explore our website and contact us if we can be of service to you.